Discerning the Mystery: Billionaire George Soros has Ties to More than 50 ‘Partners’ of the Women’s March on Washington - What is the link between one of Hillary Clinton’s largest donors and the Women’s March? Turns out, it’s quite significant. In the pre-dawn darkness of today’s presidential inauguration day, I faced a choice, as a lifelong liberal feminist who voted for Donald Trump for president: lace up my pink Nike sneakers to step forward and take the DC Metro into the nation’s capital for the inauguration of America’s new president, or wait and go tomorrow to the after-party, dubbed the “Women’s March on Washington”? It’s an idea that I, a liberal feminist, would embrace. But I know — and most of America knows — that the organizers of the march haven’t put into their manifesto: the march really isn’t a “women’s march.” It’s a march for women who are anti-Trump. As someone who voted for Trump, I don’t feel welcome, nor do many other women who reject the liberal identity-politics that is the core underpinnings of the march, so far, making white women feel unwelcome, nixing women who oppose abortion and hijacking the agenda. By my draft research, which I’m opening up for crowd-sourcing on GoogleDocs, Soros has funded, or has close relationships with, at least 56 of the march’s “partners,” including “key partners” Planned Parenthood, which opposes Trump’s anti-abortion policy, and the National Resource Defense Council, which opposes Trump’s environmental policies. The other Soros ties with “Women’s March” organizations include the partisan MoveOn.org (which was fiercely pro-Clinton), the National Action Network (which has a former executive director lauded by Obama senior advisor Valerie Jarrett as “a leader of tomorrow” as a march co-chair and another official as “the head of logistics”). 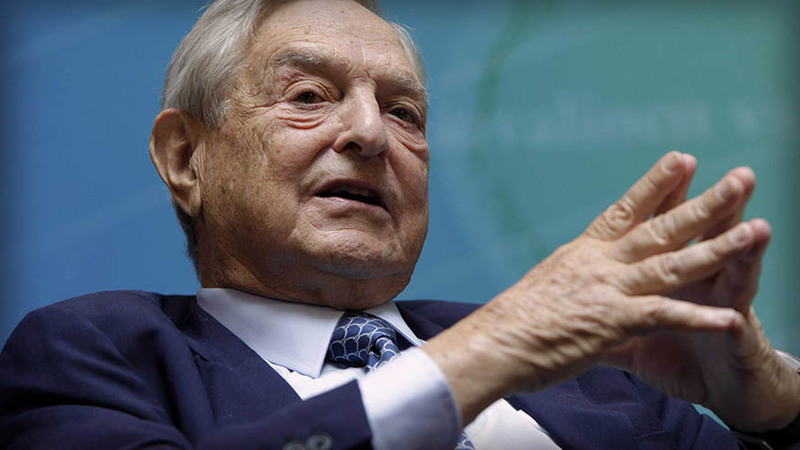 Other Soros grantees who are “partners” in the march are the American Civil Liberties Union, Center for Constitutional Rights, Amnesty International and Human Rights Watch. March organizers and the organizations identified here haven’t yet returned queries for comment. On the issues I care about as a Muslim, the “Women’s March,” unfortunately, has taken a stand on the side of partisan politics that has obfuscated the issues of Islamic extremism over the eight years of the Obama administration. “Women’s March” partners include the Council on American-Islamic Relations, which has not only deflected on issues of Islamic extremism post-9/11, but opposes Muslim reforms that would allow women to be prayer leaders and pray in the front of mosques, without wearing headscarves as symbols of chastity. So much garbagio. The only ones that would have have been dictaters are now spectaters. Thank God for that!